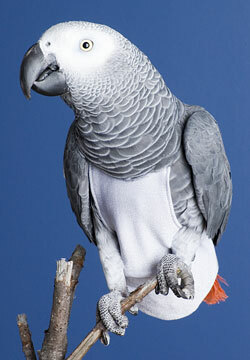 Jungle Wear Bird Diaper Parrot Suit! 1. Do you ever get tired of the mess associated with owning a bird? 2. Does your bird get restricted to his cage for the sake of a clean Poop Free home? 3. 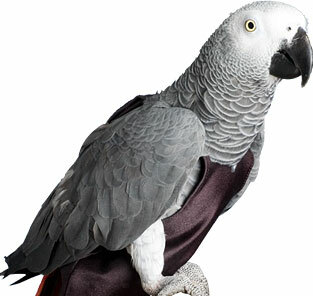 Are you afraid of taking your bird outside fearing your pet will fly off? If you answered yes to any of these questions, Jungle Wear Birdie Diaper may be just what you are looking for. Just imagine letting your pet out of his cage for some quality time to spend together. As you know, birds defecate on an average of every 20 minutes, and depending on the size of the bird this can be a messy experience. No longer will you chase your companion with a towel and bottle of disinfectant, instead dress him or her in Jungle Wear Bird products. These Patented bird diapers have been carefully designed with comfort in mind. 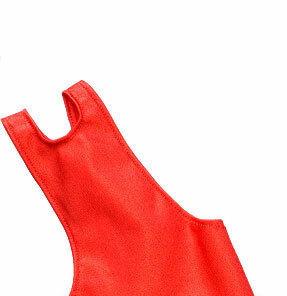 The one piece stretch fabric garment allows free movement and does not restrict flight in any way. It does allow the bird to naturally preen even when wearing http://www.isabellecaron.com/ the suit. A wide range of Sizes are available to fit almost any parrotlet, parakeet and parrot as well as other members of the bird family including ducks. If for any reason your size requirements to not appear on our chart, Jungle Wear Birdie Diaper will custom design one to fit your pet’s needs.